It’s hard to believe, but the holidays are COMING! And one of my favorite things to do around the holidays each year is make a special ornament by hand. 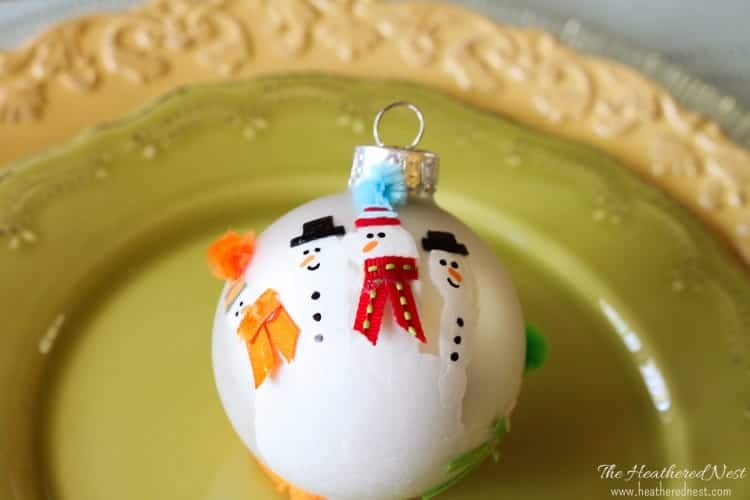 Don’t get me wrong, I don’t have endless hours to sit around crafting each Christmas, but I do carve out about an hour each holiday season to make an annual ornament with my kids. 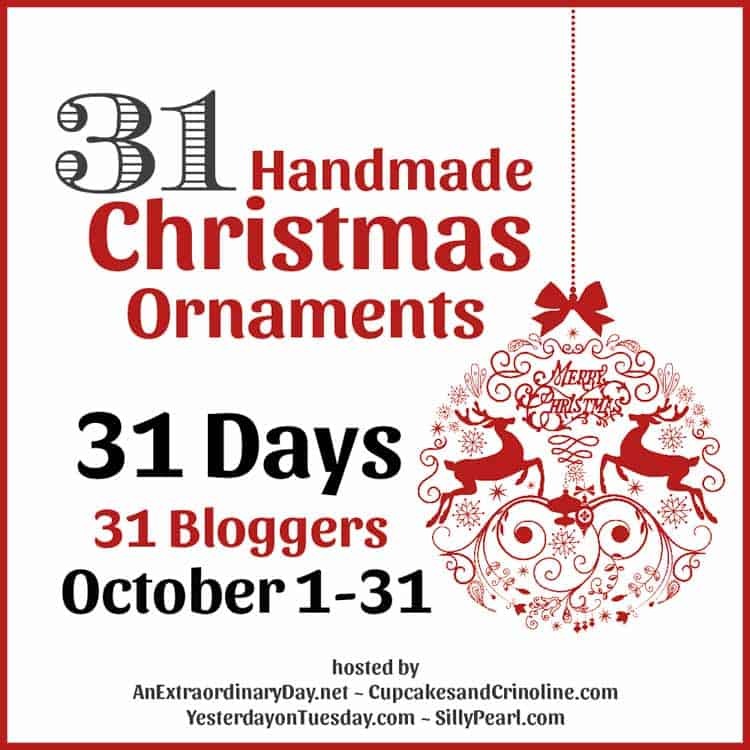 And this year, I’m sharing some of them with you as part of the 31 Days of Handmade Christmas Ornaments Blog Hop, hosted by An Extraordinary Day, Cupcakes and Crinoline, Yesterday on Tuesday and Silly Pearl. Today is day 30! 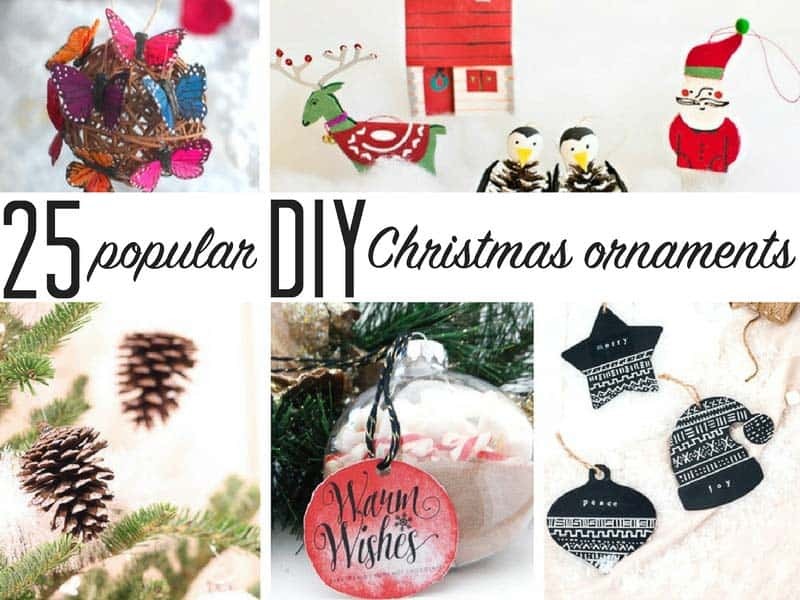 So if this is the first post you’ve seen, there’s a lot of great ornament ideas to catch up on! 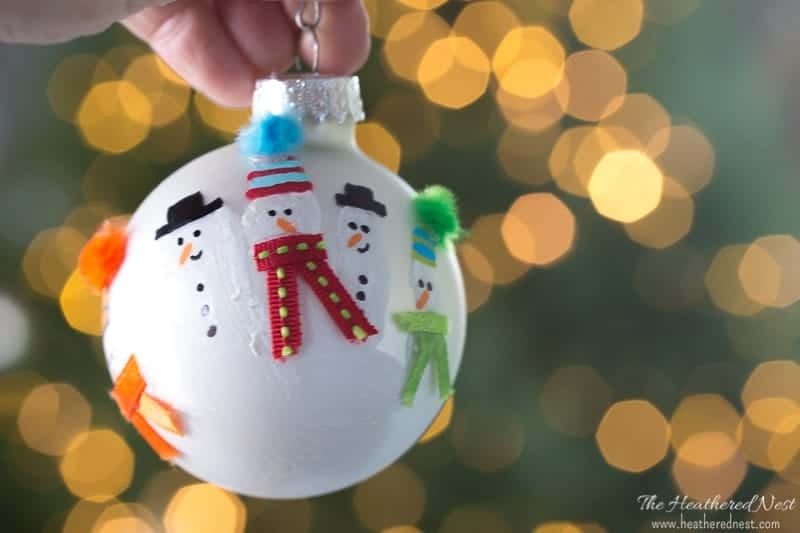 I have three little kiddos at home, so my “handmade” ornament each year is some type of “handprint”. 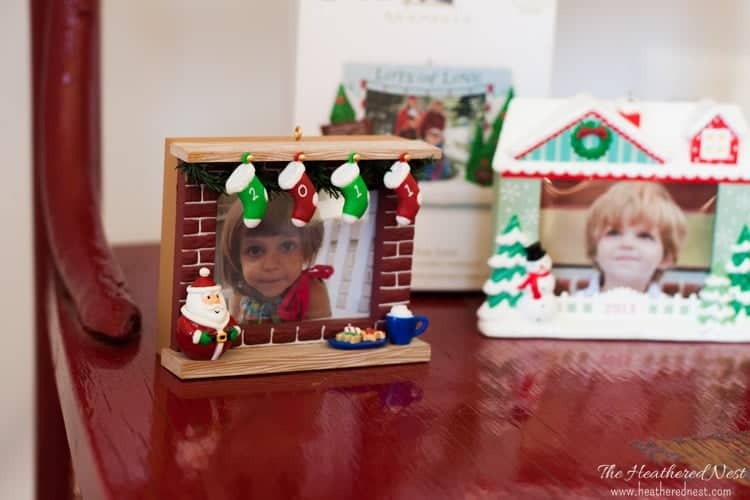 It’s a great way to capture a moment in time and be able to pull it out each holiday season and remember how cute their little paw prints were, and how they’ve grown over the years. 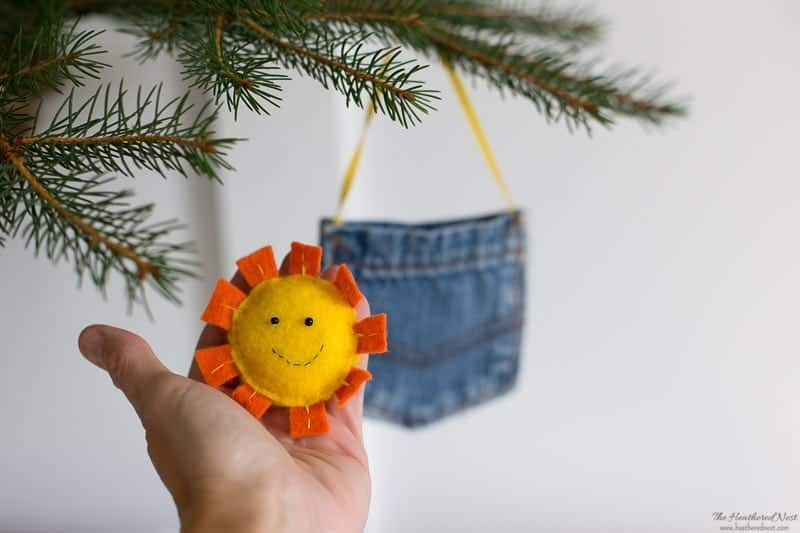 The great thing is, a handprint ornament is NOT hard to make, and they require very little in the way of supplies, none of which break the bank. 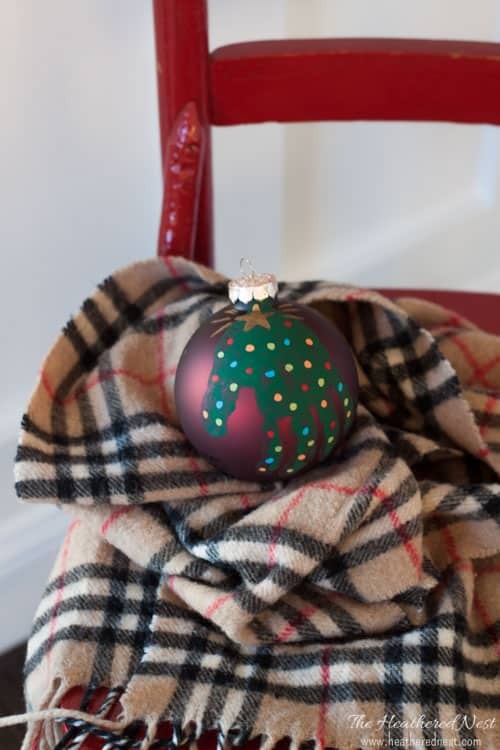 We make a different handprint ornament each year. 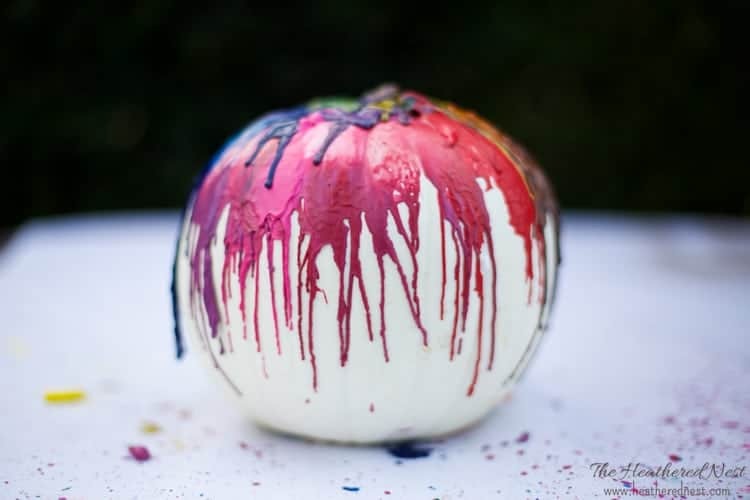 Pinterest is GREAT for finding handprint art inspiration. I’ll find something I like, then just bust my own move as inspiration strikes. Above is our attempt at a handprint Christmas tree. Santas were fun to do. 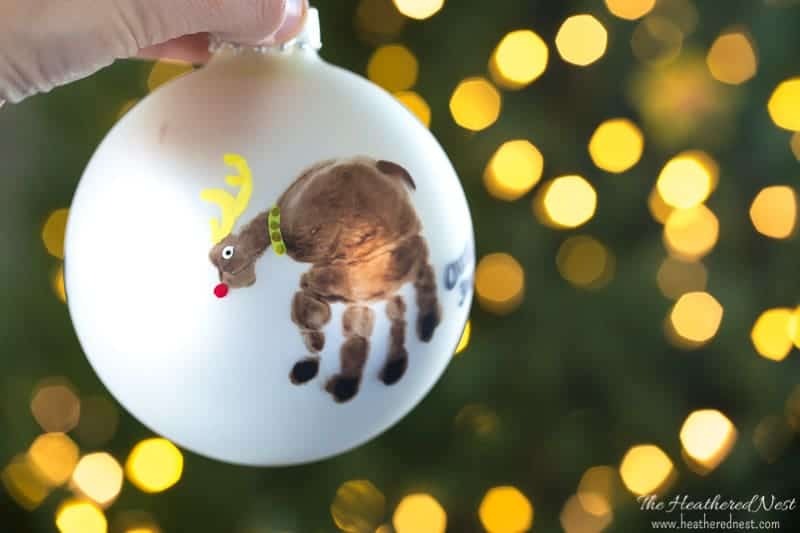 The kids love this handprint ornament project, no matter what we decide to make their paws into. They just like getting their hands painted. 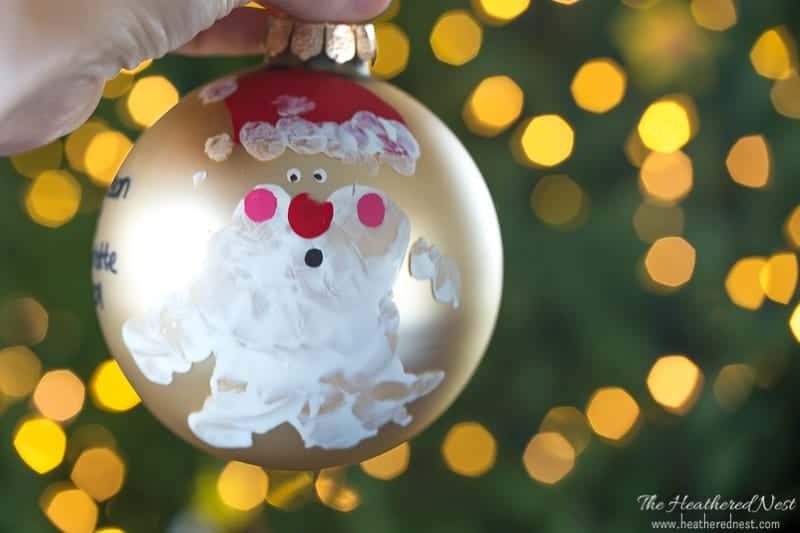 I have found over the years what works best for me is to take a pretty big craft paintbrush (about 1″) and use it to actually put the acrylic craft paint onto their hands before they make their impression on the ornament. It helps get the paint applied evenly, and without being too thick. Plus it’s fun because it tickles their little hands, which makes them giggle. These handprint snowmen were definitely one of my favorites. These took a little extra time because of hot glueing the little pom-pom (pipe cleaner) hats and ribbon scrap scarves on, but it was so worth it! To make the handprint on these, the kids cupped the ornament in their hand from the bottom, like they were palming a basketball. We did Rudolph, one year. 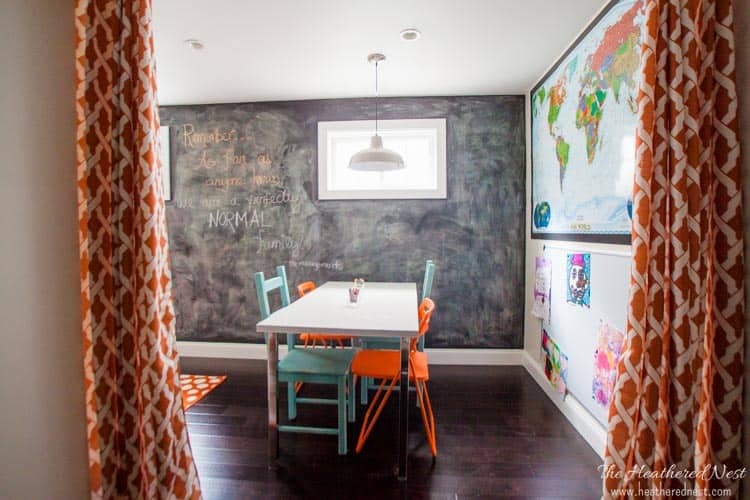 Each year, I use a Sharpie pen to write their names, and ages next to their handprints. It’s just easier, in my opinion to use a sharpie instead of trying to paint their names on with the acrylic paint. 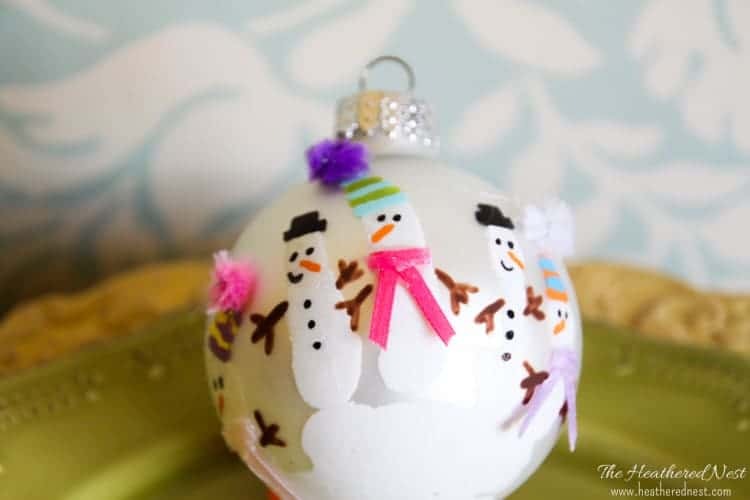 I let the kids pick all the colors for whatever embellishments there happen to be, and the older kids now write their own names and ages on the ornaments, too. While we’re talking about personalized ornaments, I want to mention one other type that we make each year. And while they aren’t technically “homemade” they still kinda are, and I ADORE them. Each year, Hallmark puts out a recordable Christmas ornament. THEY ARE AWESOME. 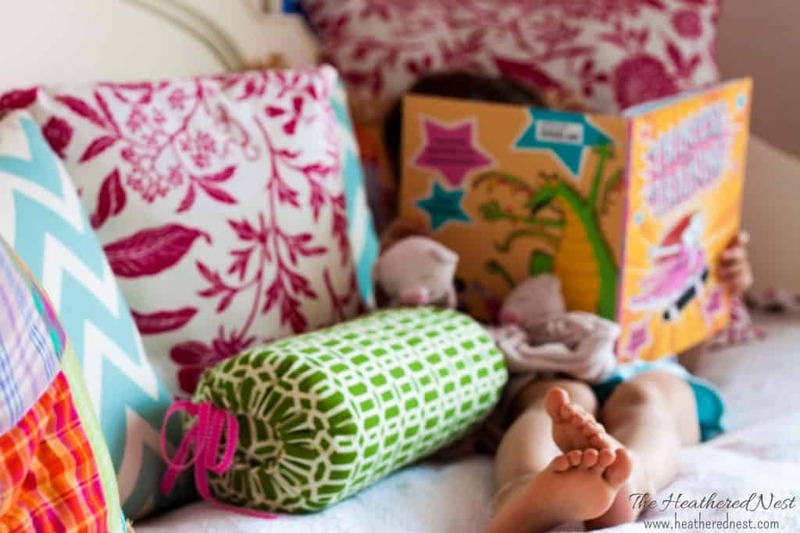 We make one for each child, and you are able to preserve their sweet little voices in it for all time. 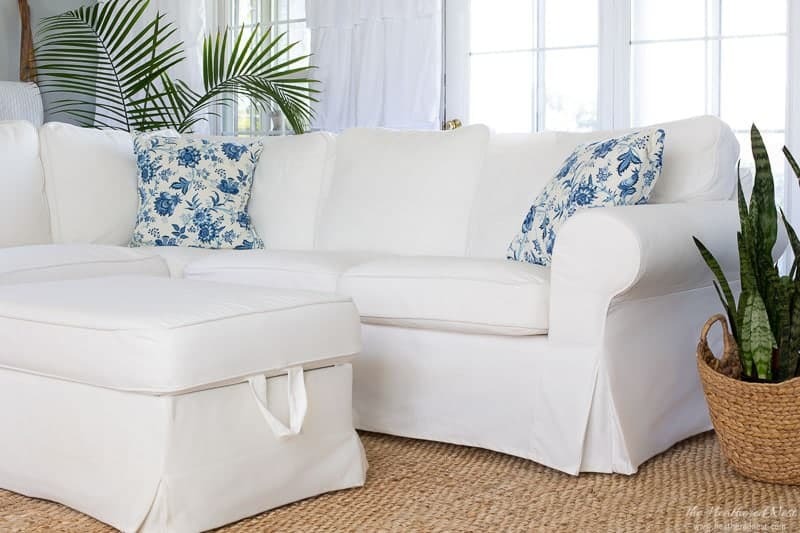 We make them for the grandparents, too. 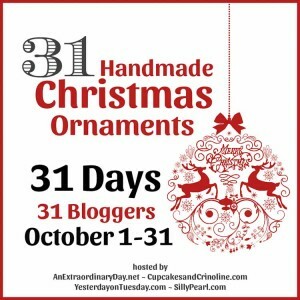 And I couldn’t end this handmade ornament post without mentioning peanut Jesus. I made this ornament in Girl Scouts when I was about 9 years old. 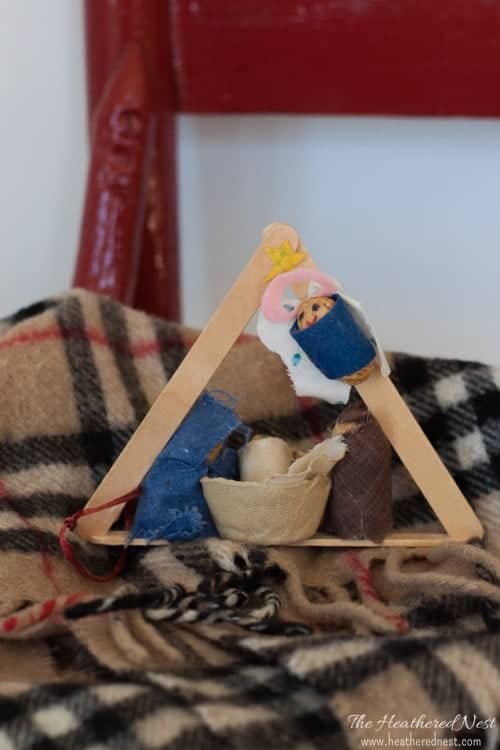 I’m now 40, and this peanut and popsicle nativity scene has graced our family’s tree every year since. Peanut Jesus was actually lost one year as we were disassembling the Christmas tree. I was completely distraught that he had been lost after a couple decades of having him around. So, my husband, being the saint that he is, dug through the trash bin outside and rescued baby Jesus. He’s a little dirty and disheveled now, but there’s something about his ragged swaddling clothes that makes him even more lovable and real to me, you know? 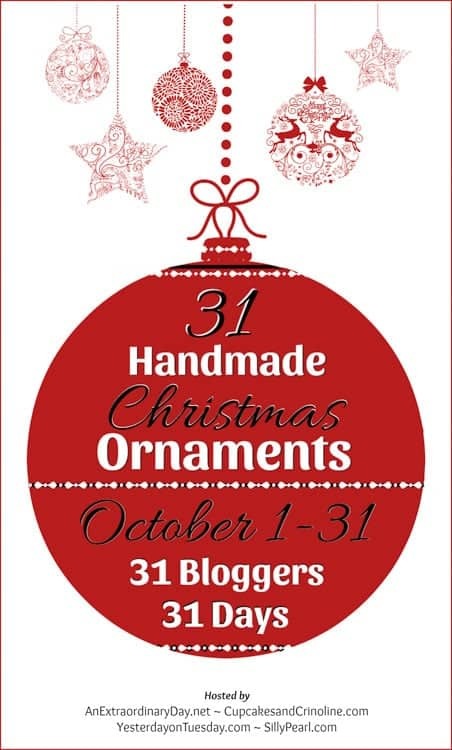 I’ve updated this ornament a bit, and made them with my kids this year if you’d like to try them, too. Hope that the holiday spirit is starting to seep back into your homes as the cold air starts to blow in as it has at least in this neck of the woods. 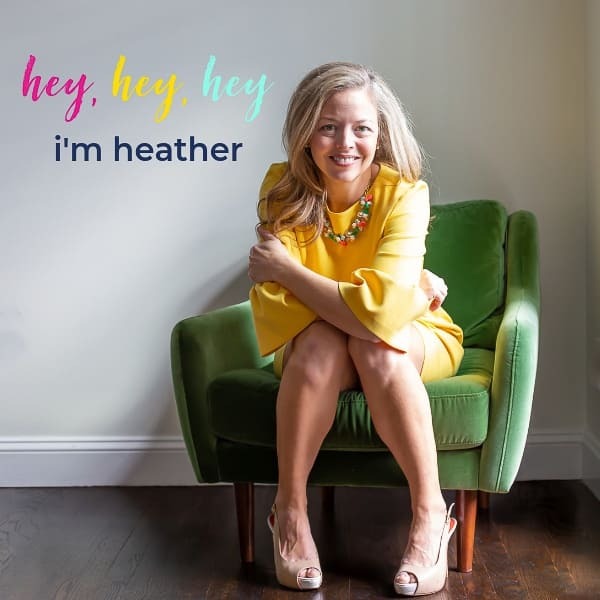 And please, do yourself a favor and check out the 29 bloggers who have posted their amazing, much more inspiring ideas for you this month as listed below, and Sum Of Their Stories who finishes the month off tomorrow at her place. 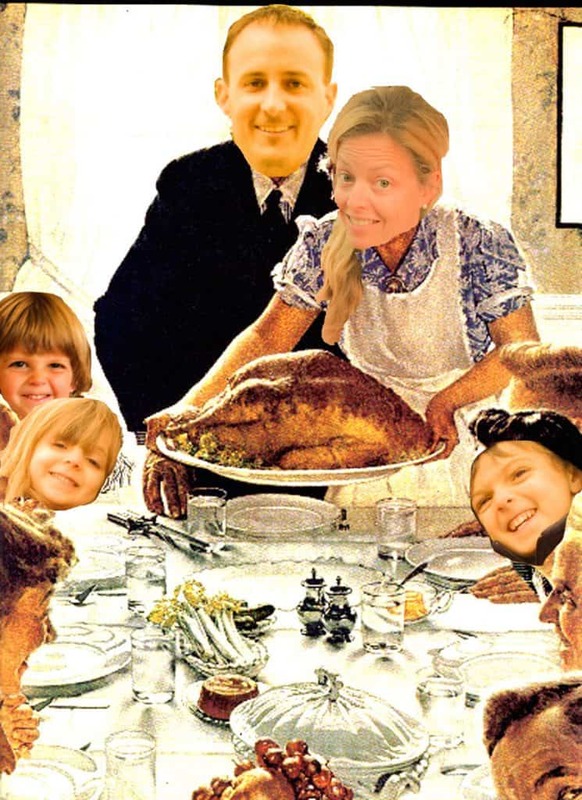 My “Mommy Guilt” Mood Board. 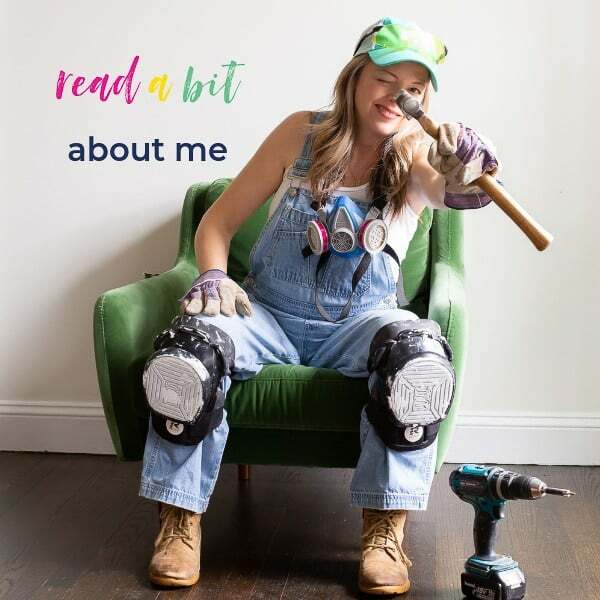 Girls Room DIY Plans. 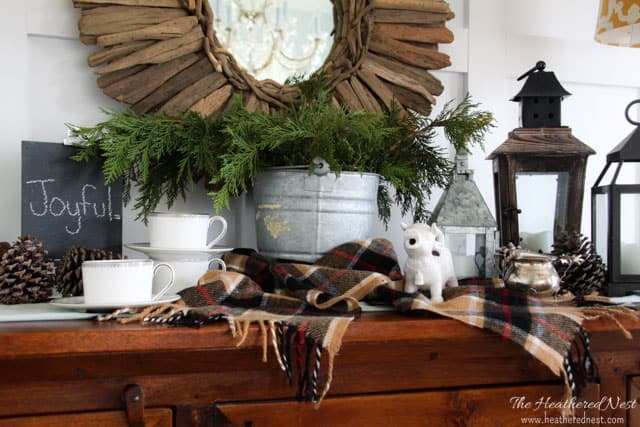 « Fall Decorating Ideas for the Lazy Girl.